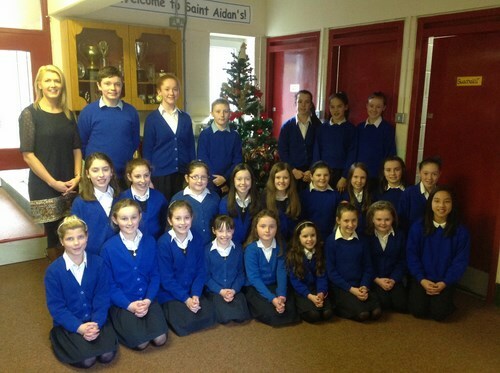 We have been very busy in all classes preparing for Christmas. 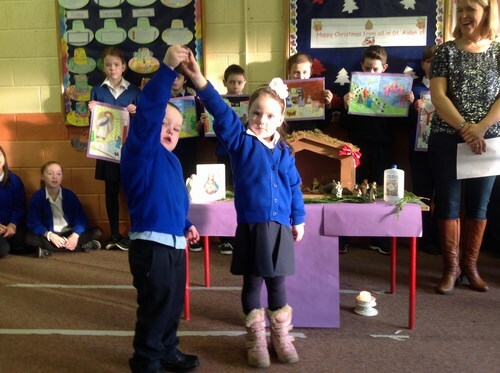 Junior and Senior Infants helped to put up the Christmas tree and crib. 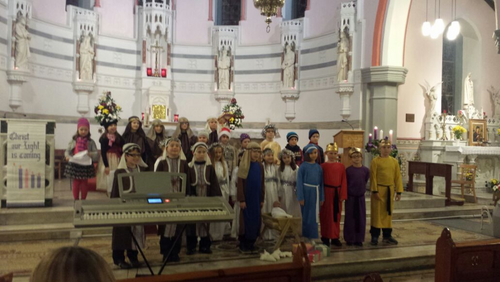 Junior Infants performed their nativity play for parents and friends in the school hall on Wednesday 18th Dec.
Second Class performed a nativity play at the Parish Carol Service in the Church of the Holy Family on Sunday 14th Dec.
On Wed 17th December St Aidan’s N.S. 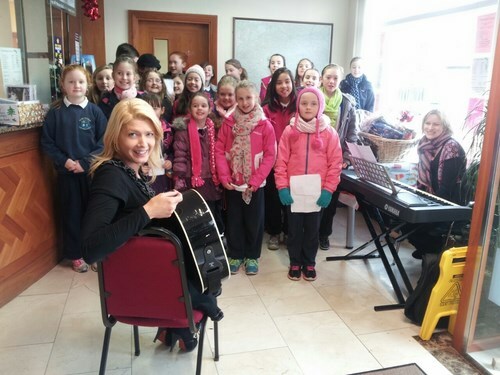 Choir ( pupils from 3rd-6th Classes) visited the local bank and Credit Union where they sang carols and Christmas songs under the direction of Ms. Lee and accompanied by Mrs. Hickey. 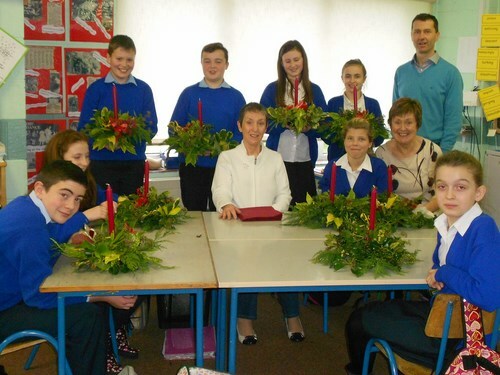 Sixth class made these lovely Christmas centre pieces with the help of retired teachers Mrs Mooney and Mrs Commons. 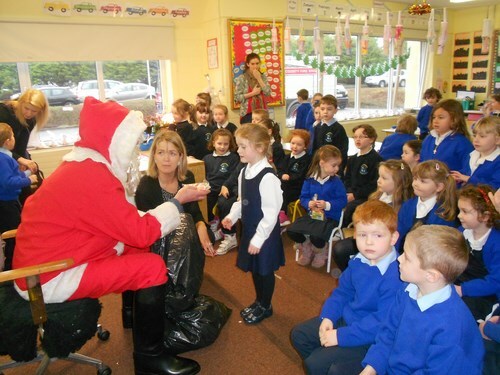 Santa visited us on Wednesday 18th Dec.
On Friday 19th Dec the whole school community assembled in the school hall for a short prayer service during which we listened to the Christmas story and reflected on the true meaning of Christmas. 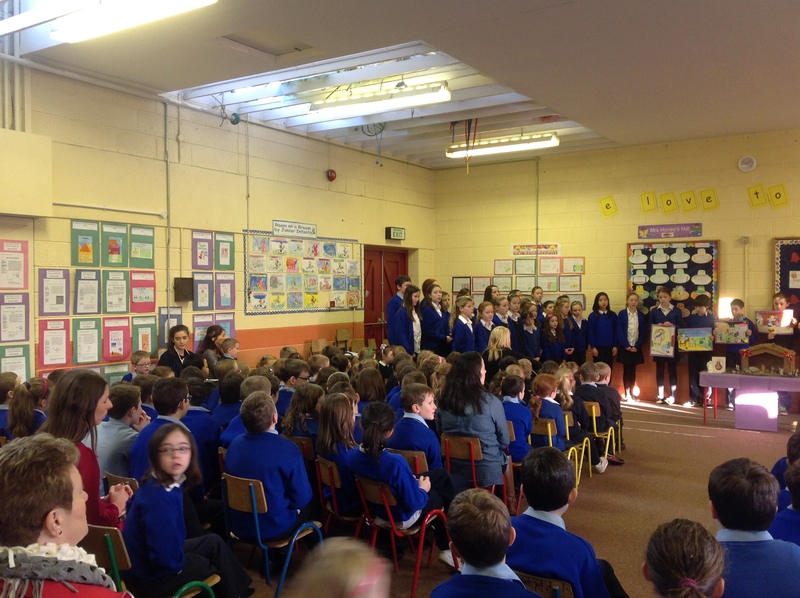 The school Choir under the direction of Ms. Lee sang some carols. 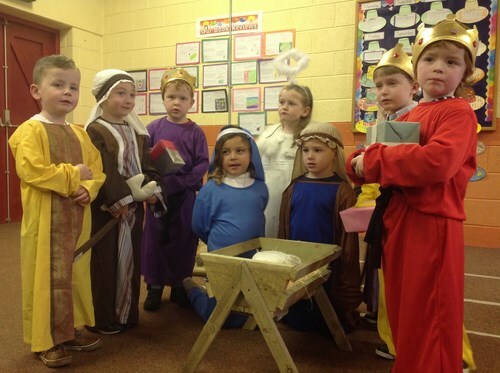 The prayer service concluded with the two youngest children in the school placing Baby Jesus in the manger. December has indeed been a very busy month! 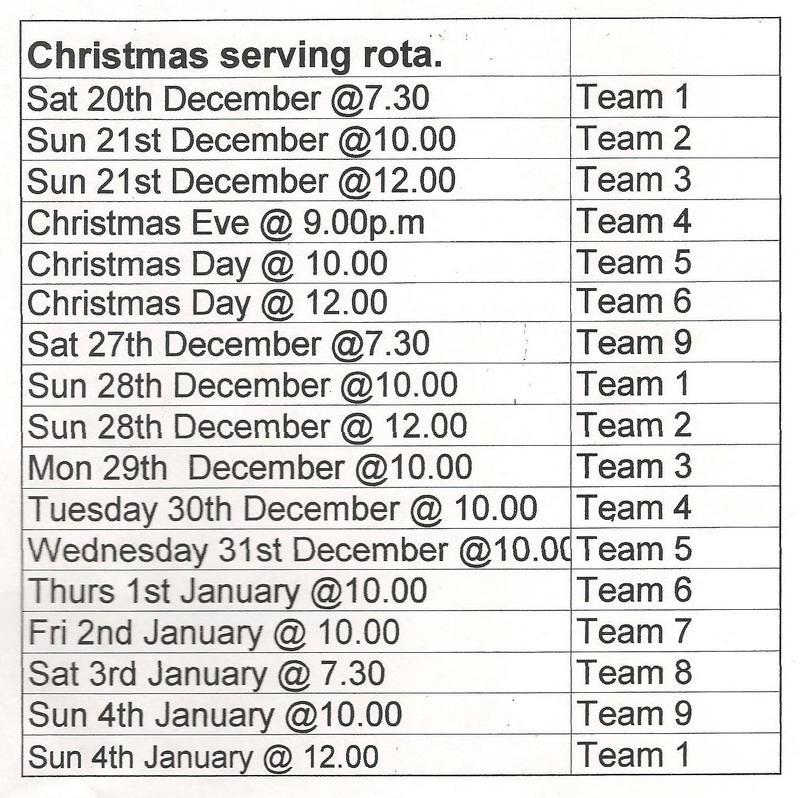 Below are just a few of the many Christmas activities we took part in. 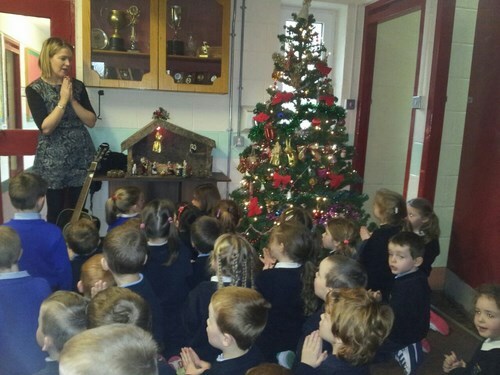 Junior Infants, Second Class and the School Choir (pupils from 3rd & 4th Classes) took part in the Parish Carol Service in the Church of the Holy Family on Sunday 14th Dec.
Senior Infants sang some Christmas songs for Santa. There is lovely Christmas art on display throughout the school.